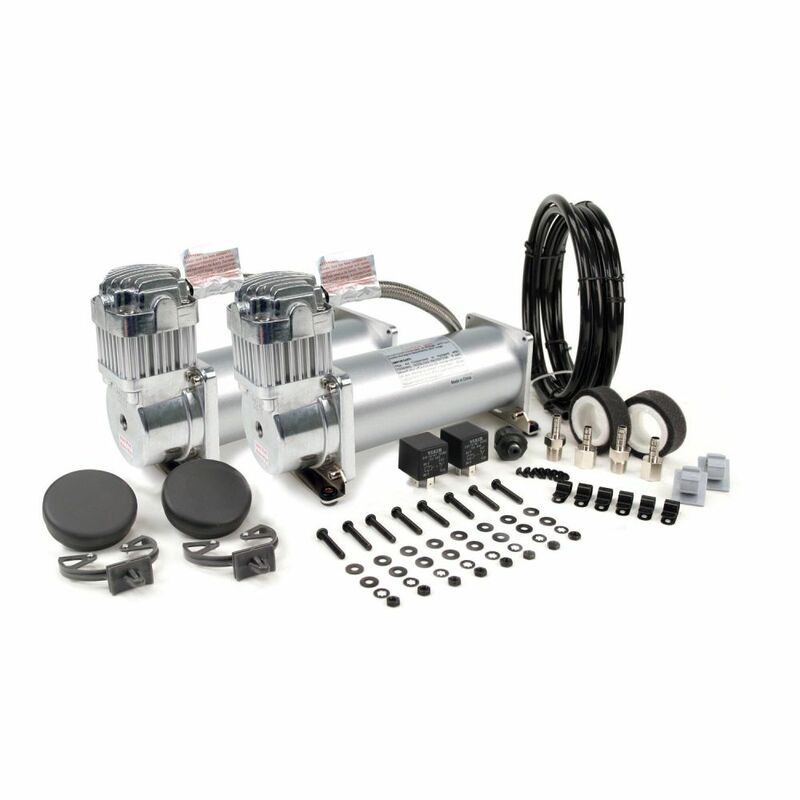 450C Dual Performance Value Packs include two 450C compressors, two heavy duty 40-amp relays and a 110 PSI cut-on, 145 PSI cut-off pressure switch. Each Dual Performance Value Pack comes with remote mount filter assemblies and mounting hardware. Dual Performance Value Packs are rated to fill tank volumes up to 10 gallons. Dual Performance Value Packs include two of VIAIR’s most popular compressors, two heavy duty 40-amp relays (except 444C) and a cut-off pressure switch, to make installing a heavy duty onboard air system simple, and affordable. All Dual Packs come with remote mount filter assemblies and mounting hardware.